Could Apple's definitive victory over Samsung have Motorola rethinking its fresh patent suit with the iPhone maker? News out of Germany could point to a peaceful end to the American-side of the fray, filed Aug. 20 with the U.S. International Trade Commission. According to a U.S. District Court for the Southern District of California document filed Monday, the Google-owned mobile company has struck a cellular standard-essential patent licensing deal with Apple in Deutschland. Standard-essential patents are patents that cover innovations required to perform at an industry standard. Reports indicate the agreement entitles Apple to use some if not all of Motorola's standard-essential patent licenses in that country, with Apple paying some kind of royalty rate. 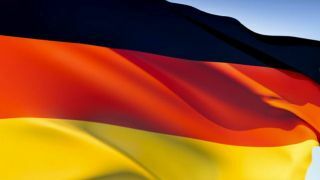 Neither company has released a rate yet, though that could be left up to German courts to decide based on fair, reasonable and non-discriminatory (FRAND) standards. However, Motorola will likely be limited to a rate of 2.25 percent, a rate it's been asking of Apple all along. Further details of the agreement, including when it was reached, are unknown, though the deal could be a harbinger of peaceful times to come stateside. In an antisuit complaint made on Aug. 3, Apple stated it had made a licensing offer to Motorola but didn't indicate that Motorola had accepted or even seen such an offer. And, there was a notable admission that liability damages were due…to Motorola. "[T]he question of liability is no longer an issue in Germany, although the parties will continue to litigate the amount of damages Apple must pay Motorola for the past infringement Motorola alleges and the amount of a FRAND license," the complaint states. "[R]egarding whether Apple's FRAND offer is valid, an allegation that has been mooted by Motorola's acceptance of the offer after Apple admitted liability for past damages for infringement." It goes on to say that Apple has "voluntarily accepted its liability for past damages," though the issue is still pending in German court. Motorola also took time to deny Apple's allegations that it's violating German antitrust law by refusing to accept Apple's licensing terms. How the suit will play out in the U.S. remains to be seen, but what we can gather from the German situation is that Motorola forfeited its ability to gain leverage over Apple with cellular standard-essential patents. At least in that country, all it can do is look to enforce non-standard-essential patents, including one it is currently pursuing. That patent covers push email notifications, according to FOSS Patents. Though the deal is in place, Motorola's willingness to move forward with an agreement rather than face antitrust accusations - even in the face of an Apple admission of guilt - could bode well for Apple when the ITC hears the case.